We do sketch comedy, don’t we boys! Formed in 2009, The Don't We Boys has performed at colleges and comedy festivals in over 30 states! From San Francisco to New York City and Montreal to Los Angeles, The Don’t We Boys have proven to be one of the funniest shows around! 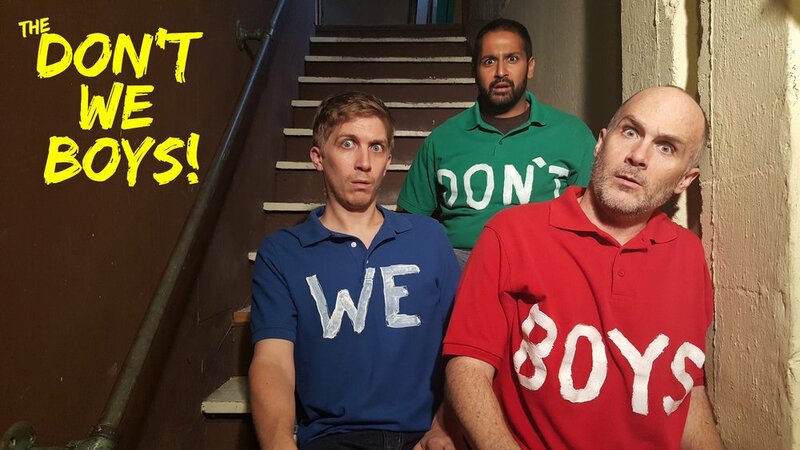 The Don't We Boys is a critically-acclaimed, fast-paced sketch comedy show. It's like Comedy Central's "Key & Peele" or Chicago's "The Second City"....on steroids. Our full show features approximately 30 live sketches, punctuated with video from our TV pilot. We tackle roommates, drugs, politics, parents, love, hate, religious intolerance, lactose intolerance and even gluten. That’s right, GLUTEN! Here’s a rare opportunity to host some of the world's best sketch comedy for a special engagement show! You provide the venue, they bring full-color back drops, video projection, sound and lights. Rating PG-13. Edgy but clean. Invited to comedy festivals in San Francisco, Seattle, Milwaukee, Vancouver, Chicago, Philly, New York City, Montreal, Austin and more!